CAPI method allows on the spot data collection. The interviews are conducted on location or at the respondents’ residence, using our Computer Assisted Personal Interview module. Pollsters are provided with portable devices – 8 inch tablet computers. Read more The software runs on the interviewer’s tablet computer and once the pollster is connected to internet he/she will be synchronized with the central database. One of the main advantages of CAPI is its role in the fieldwork control process. Namely, each tablet has a geo locator app which allows the management to follow live the position of the pollster and the length of the interviews. For every CAPI research each pollster is also trained for PAPI (Paper and pencil interviewing) and carries printed questionnaires in the field as well. This is done to ensure that in case the computer technology fails, the interview can be finished using pen and paper. A telephone survey is systematic data gathering with a determined population sample, where the telephone numbers used to contact potential respondents are chosen out of the entire population or certain lists of telephone numbers (ex: customers contacts, members of an organization, etc.) Read more A telephone survey provides information about citizens’ opinions in a relatively short period of time, and with a significantly lower budget, in comparison to other research methods. Citizens’ responses and interests in former surveys of this type on various topics have been satisfactory. Computer-assisted web interviewing (CAWI) is an Internet surveying technique. The questionnaires are made in a program for creating web interviews. The program allows for the questionnaire to contain pictures, audio and video clips, links to different web pages, etc. Read more The website is able to customize the flow of the questionnaire based on the answers provided, as well as information already known about the participant. It’s considered to be a cheaper way of surveying since you don’t need to use people to perform the surveys. Focus groups discussions is a qualitative research method that encourages invited groups of participants to share their thoughts, feelings, attitudes, habits and ideas on various issues. 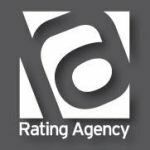 Read more Rating Agency has developed a database with most important socio demographic characteristics and contact information from approximately 150 000 respondents. This database is often used to recruit focus group participants, as the members of various target groups can easily be extracted.